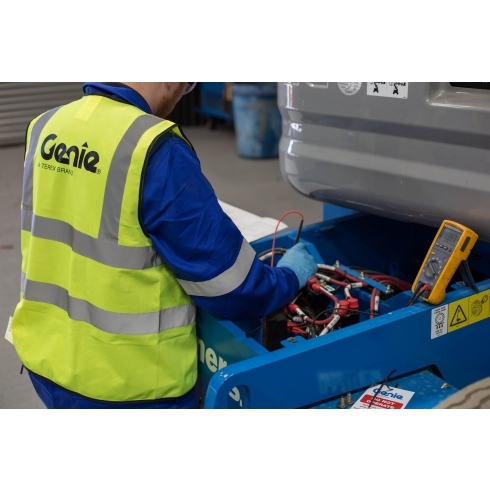 Batteries are at the heart of almost every access platform, from a Hinowa tracked boom to a Genie electric scissor or a Niftylift towable boom. 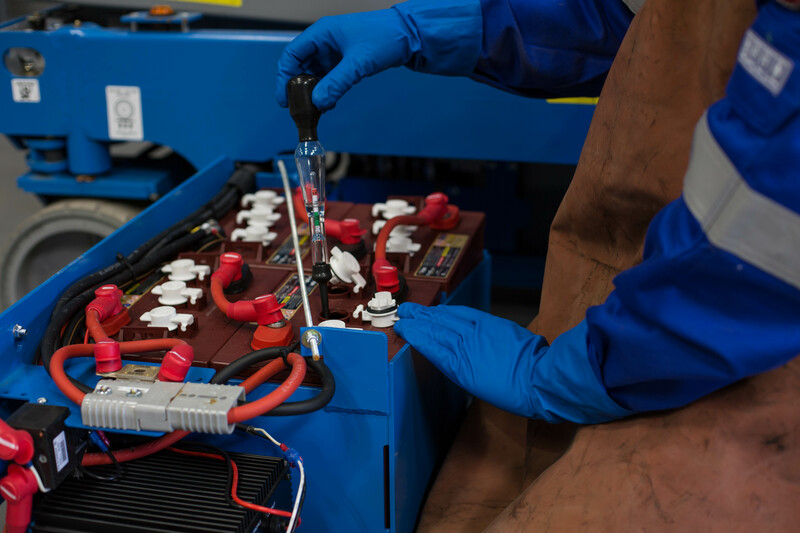 Lead acid batteries need to be filled with distilled water to minimise the corrosion which can damage their efficiency. Check battery cell water levels at least once a month - and top up the fluid to the correct mark as required. For optimum performance, make sure you carry out the check and top-up before you charge the batteries. Keeping your batteries clean improves their performance. We recommend that you wash your batteries with clean, lukewarm water. 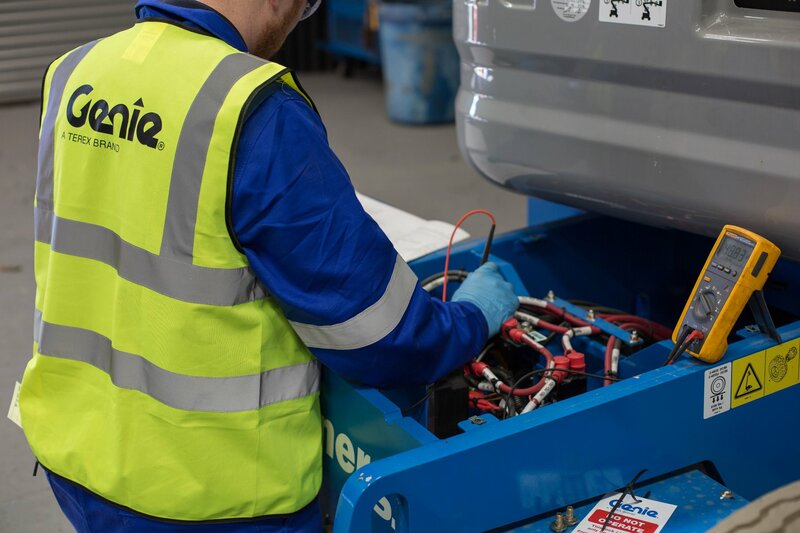 Pay particular attention to the terminals and electrical leads - if corrosion is evident, scrub with a bristle or wire brush to remove it. Recharge all batteries after use. 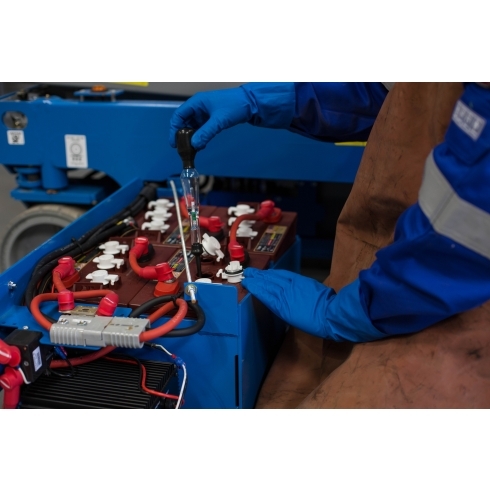 Before charging the batteries, we advise you to inspect all terminals for frayed, loose or damaged connectors, and ensure the terminals are clean and free from corrosion. Batteries will self-discharge when not in regular use. So if your machines are not being heavily used, best practice is to still recharge them at planned, regular intervals.